Posted byRonnie Hughes	 February 27, 2014 February 27, 2014 5 Comments on A new kind of bleak? I’ve just finished reading a book about architecture and urban design that I quite enjoyed. At first I set off reading it at a great pace, describing it to Sarah as ‘thrilling.’ In hindsight that was probably because the author was describing walking around places that I’ve walked around myself. He was having similar opinions to me too, which also helps generally. But as the book wore on I found myself tiring. Doing imaginary walks around places I’ve never been and, I felt, focussing too much on aspects of architecture and not enough, for me, on the lives people are living in the places. Well it’s made me think. 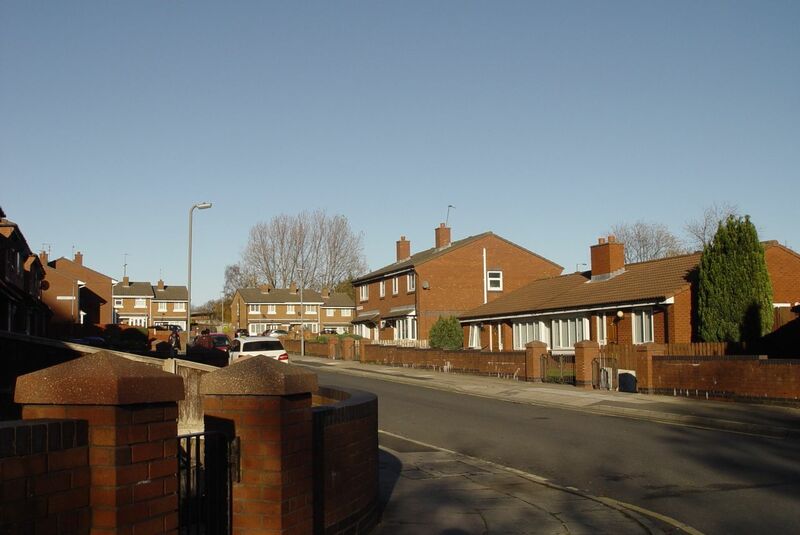 And it’s certainly true that the ‘one way in, one way out’ approach to estate design must make it easier to police. But have they been done like this over the last 30 years to deliberately ‘kettle’ the working classes? I don’t, by the way think the author is right in describing ‘Secured by Design’ as a legal requirement for social housing. I’ve always viewed it more as a police campaign and one we were always more than happy to argue against in the ‘Places by Design’ programme of events I wrote about a couple of weeks ago. That an area needs to breathe, to be porous, to work. That streets need to lead to other streets, that real danger comes from places which are not overlooked, places there is no way out of. But ‘military roots’ of all of this? 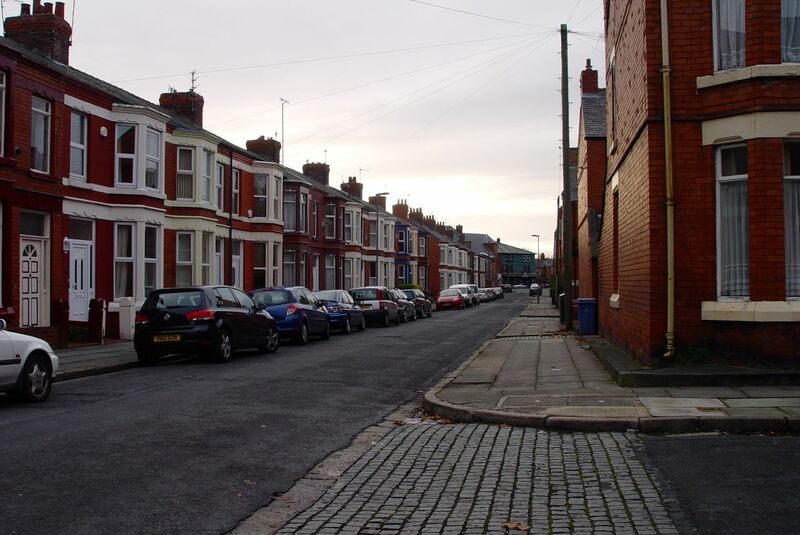 Well, he mentions Liverpool and it’s certainly true that after the 1981 riots many of the old terraced streets in Liverpool 8 and elsewhere where replaced by exactly what he describes. So you can no longer walk easily around much of Granby – not much more than the precious last four original streets are truly ‘porous.’ And a few weeks ago when I tried to walk around Vauxhall in North Liverpool – an area I’ve known very well in the past – I found myself getting frustratingly and frequently stuck down streets with familiar names that now lead nowhere. So it does feel like constraint, it does look like whole areas could easily be controlled by very few police or military personnel. But planned as a long term civil defence/offence strategy? That sounds too co-ordinated, too Big Brother, to be entirely plausible. And how does it explain the fact that, increasingly, middle class housing is being built in cul-de-sacs too? Some of it even with gates on right from the start, so the moneyed inhabitants can be locked in if they’ve been doing too much shopping and braying at the rest of us out of the darkened windows of their 4x4s? I don’t know, but at least the book has added to my urban armoury (more military speak, see?) When I’m walking around places now, along with looking for the design features that might be making them work, I also look for how difficult or easy it might be – did they ever deem it necessary – for the wielders of power to control and constrain the people of a place. Our street. Many ways in, many ways out. 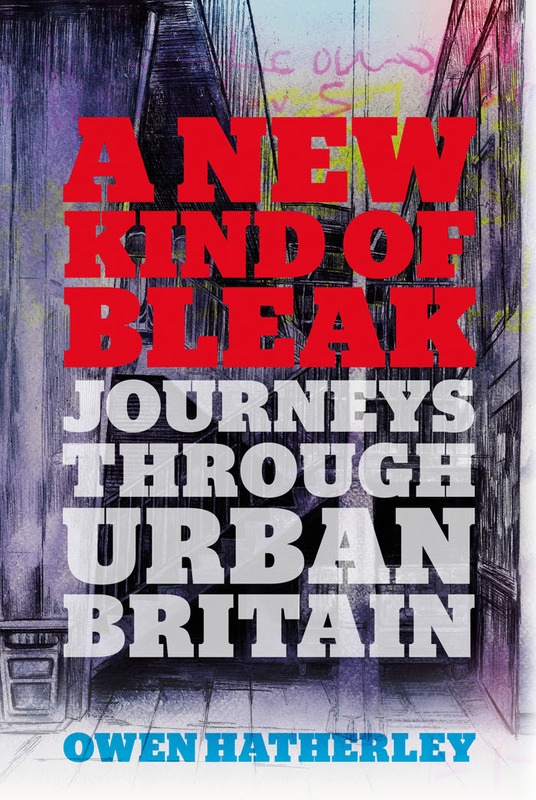 ‘A new kind of bleak, journeys through urban Britain’ by Owen Hatherley is published by Verso and costs £20. I borrowed my copy for free from Liverpool Central Library. Very interesting. I’ve been meaning to read Owen Hatherley for some time, but his books always get displaced in the queue! I’d thought I would be raving about it and as you can see I’m not, quite. But I did finish it – and I do often stop books when I lose interest – and it did make me think. So not at all bad. An updating of Haussman’s designs for Paris in the 1860s…crowd control? i would hope it wasn’t deliberate – but it’s there all the same. What they call gated communities are common here – not just for the North American expats but the better off Costa Ricans too. They remind me of prisons with their gyms, swimming pools and tennis courts with an armed guard on the gate to the complex and cars signed in and out. I must see if I can order the book. Well maybe, but the Haussman Paris plans didn’t stop it being a gorgeous inner place and didn’t hinder the riots of 68, whatever the intentions might have been. Streets, however broad and militaristic, still led to others. Later on though, La Défense? And sorry to hear of armed guards in gated Costa Rica. Any armed and guarded community is surely a desperate measure and can’t have longevity in it. No they didn’t hinder 68….but in 68 the CRS didn’t use cannon or, as far as I know, live rounds.